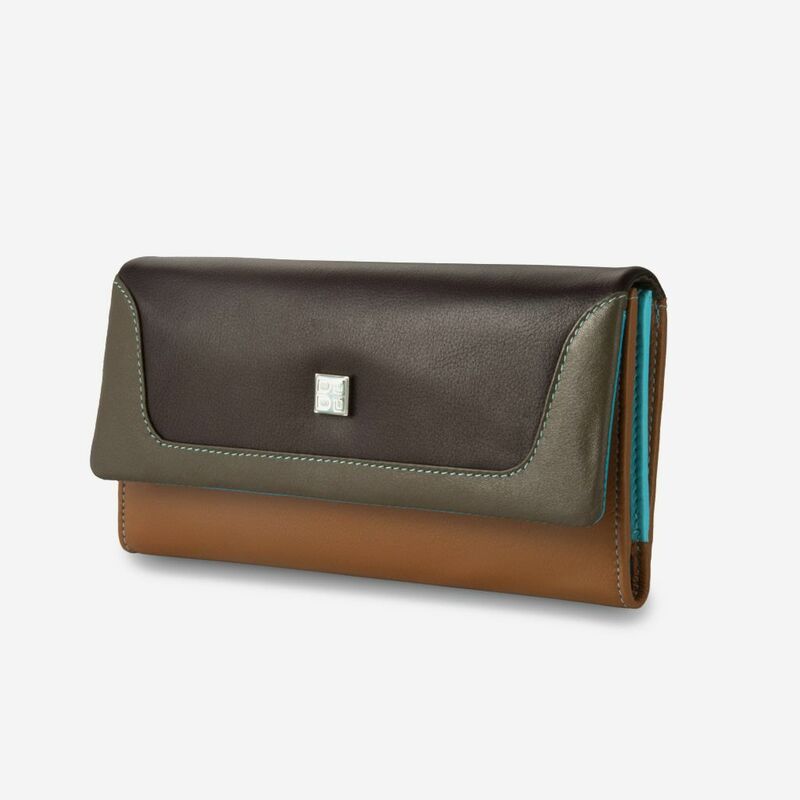 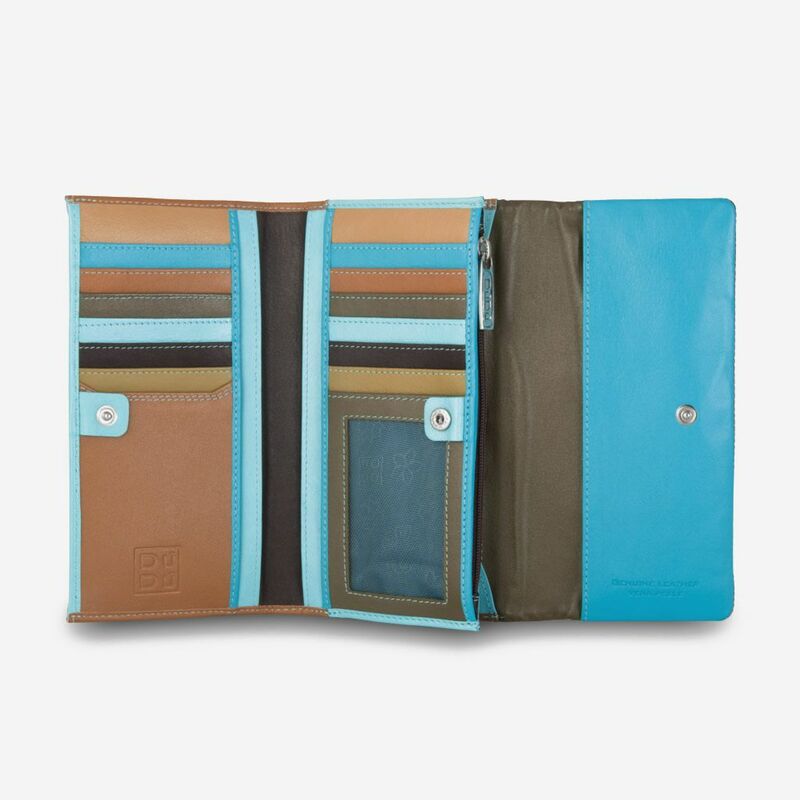 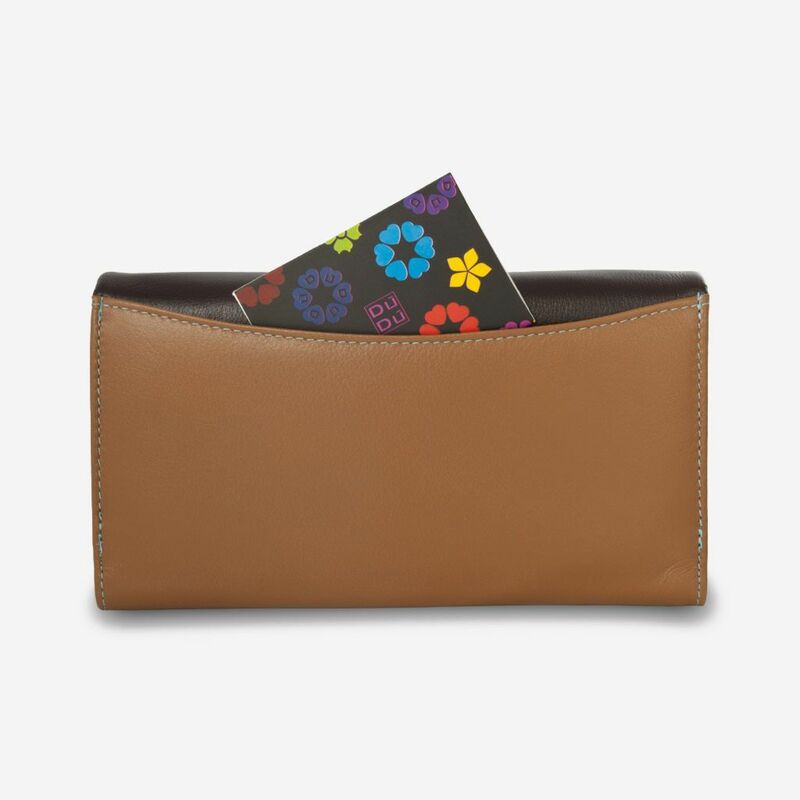 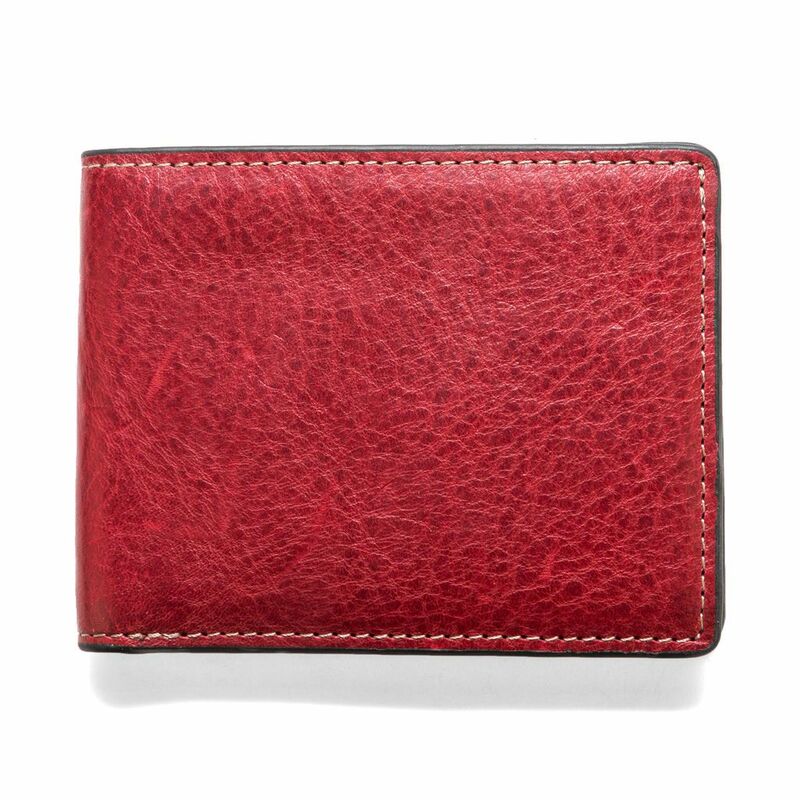 Colorful leather wallet for women made in soft genuine calfskin leather. 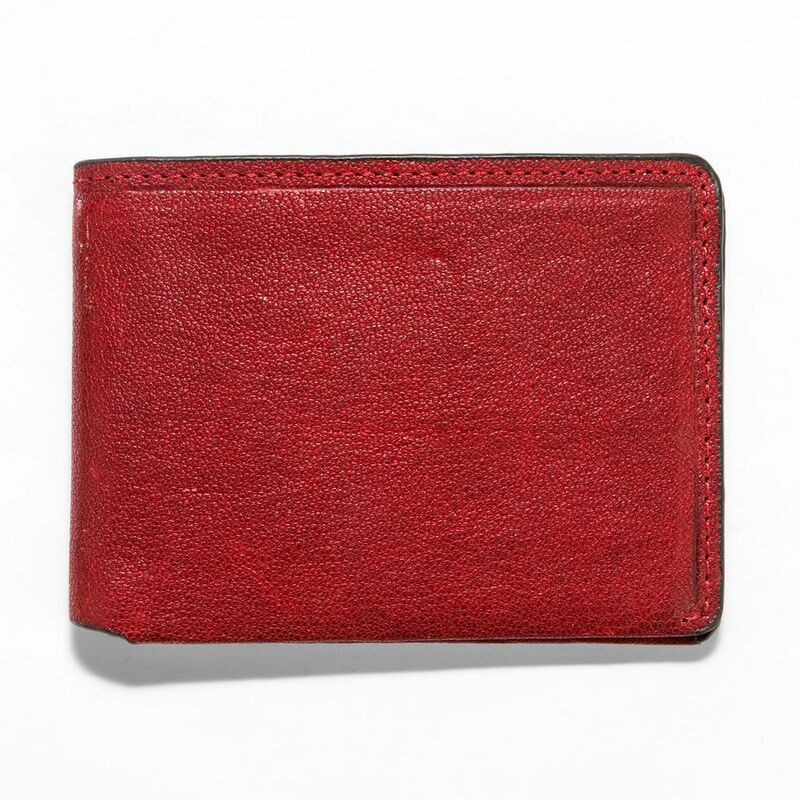 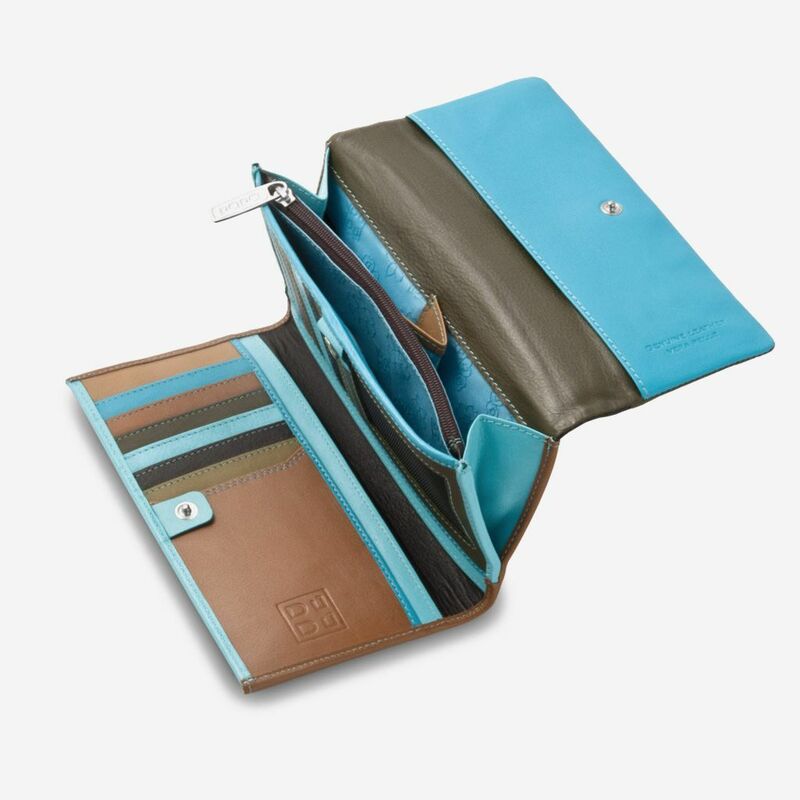 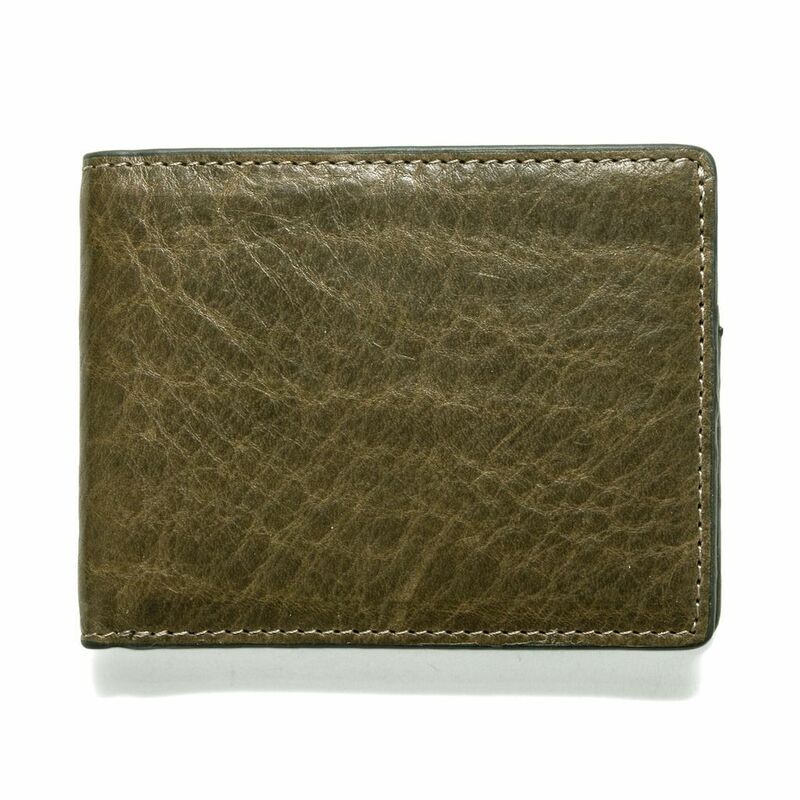 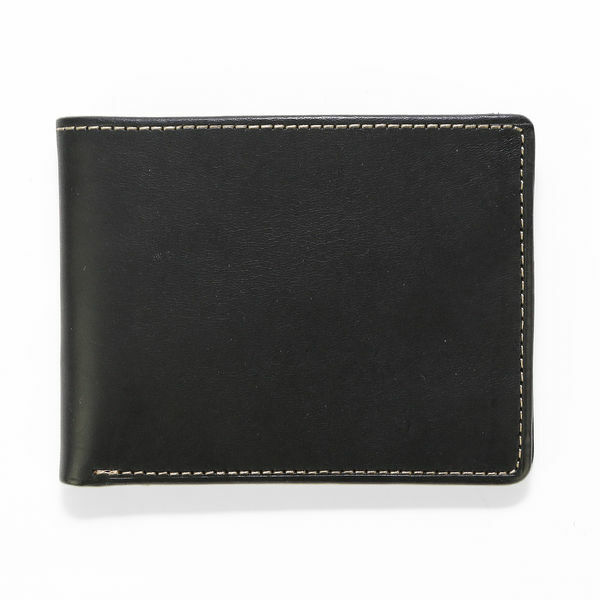 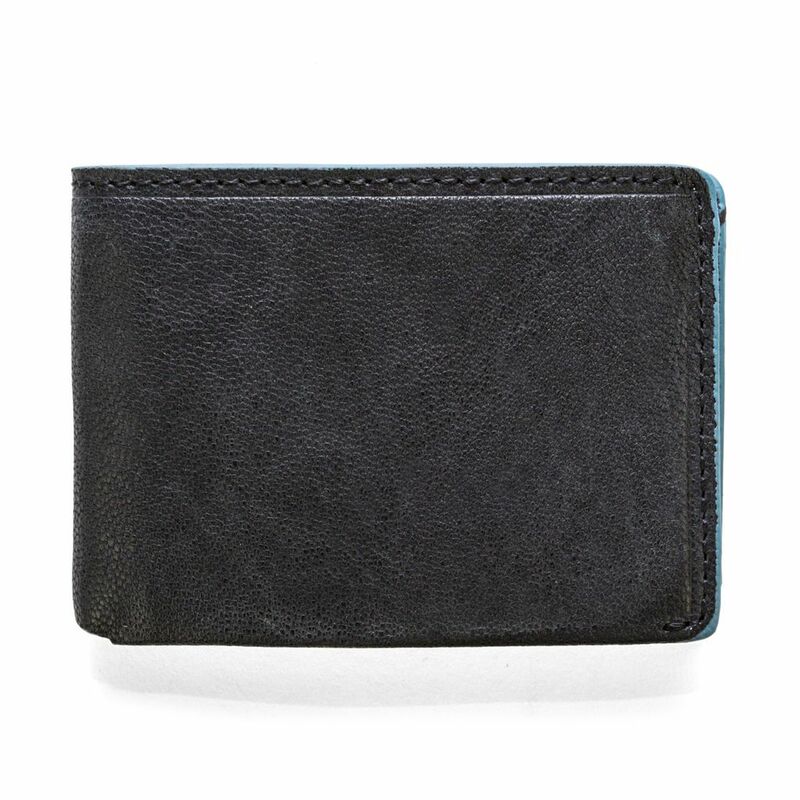 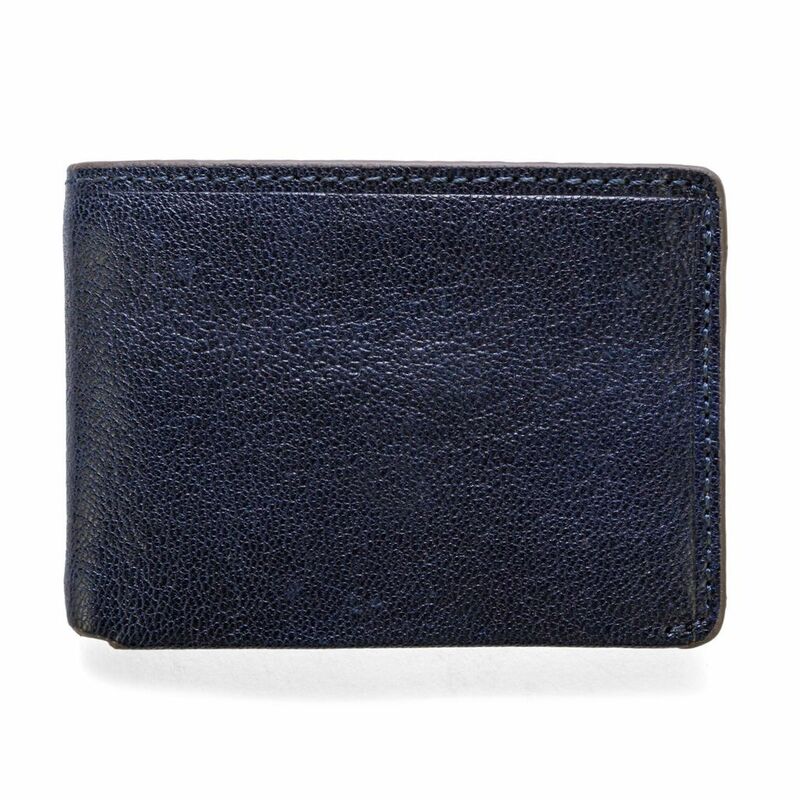 Many credit card holders and inner pocket with bellows divided in 2 compartments with coin purse zip pocket. 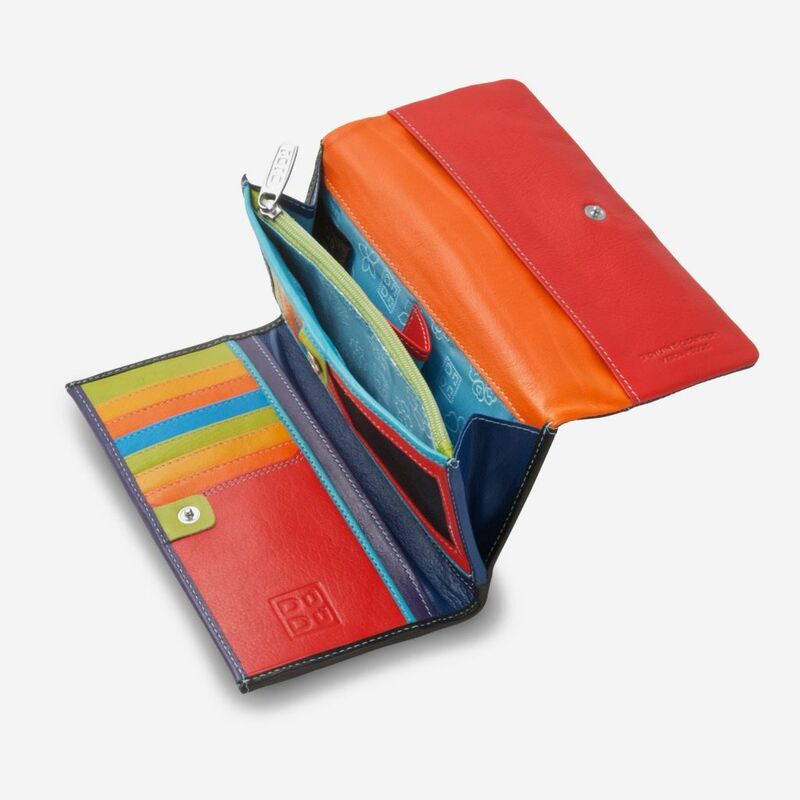 External enameled DuDu logo and particular workmanship with rolled edges for unique style.